Transferring the US embassy to Jerusalem would be a public and more explicit than ever declaration of war on Islam. The Palestinian President Mahmoud Abbas and Israeli Prime Minister Benjamin Netanyahu do not agree on the subject. Abbas has denounced the moving of the embassy, while Netanyahu has been invited to Washington in February by President Trump. Jerusalem is an important city, an interest in both religious and political matters. 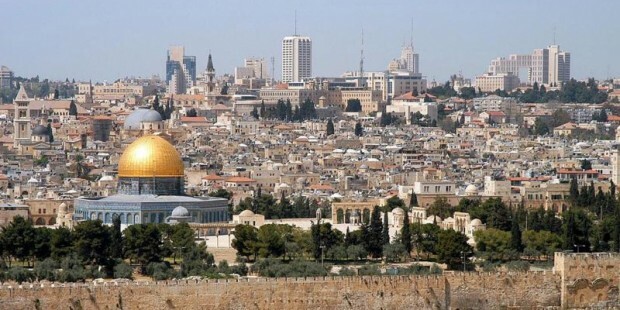 Being the basis of Jewish, Christian and Muslim faiths and the center of the on going Israel-Palestine conflict, Jerusalem symbolizes both sacred and profane matters. The profane would, in this situation, be the current political discussions concerning the possible move of the US embassy and the sacred is the important religious scenes of the city. According to Durkheim the boundary line between the sacred and the profane is absolute and must be respected, but in this particular case it seems as if the two will be blended in a not so far future – and to the great disapproval of Sadr among others. Using Durkheim’s definition of a totem one can argue that Jerusalem is, in some ways, the totem for Jews, Christians and Muslims because the city itself – and the many years of history it bears – is a religious symbol which all of the three ‘clans’ identify with. Historical buildings and constructions, such as the al-Aqsa Mosque and the Temple Mount, also make up places where collective consciousness forms. This is the case when, for example, Muslims turn towards Mekka during their prayers and thereby creating a force arising from the religious participation in their shared system of beliefs and values.